It can use data from diverse sources such as confocal microscopes & widefield microscopes. Volocity can easily import z-series &/or time lapse image sequences with from the Zeiss 510/7x0 or Leica SP2/SP5/SP8 or Olympus FV1000 or Biorad or Perkin Elmer confocal programs with meta data, C-Imaging data, as well as .tif and other image format image series. On your computer! You will need to have both an MHmicroscopy account and also have it activated to use the Volocity license server. Volocity runs on Macs, Windows 32 & Windows 64 bit. 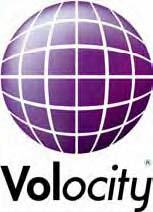 Obtain the appropriate Volocity software from the Perkin Elmer Volocity web site, install it, and connect to the license server. For adequate performance your computer should have sufficient RAM (> 1 GBytes or with Vista or Windows 7 >=3 GBytes) and a high performance OpenGL video card. Volocity installation software version 6.3 or later (Jul 2013): Windows 64 bit | Windows 32 bit | Mac. Newer versions, if available, will be available at the Perkin Elmer Volocity web site. Users will need to arrange to have access to this software from facility personnel before being able to use the license server. Most users will use their MHmicroscopy user name and password, which must be activated for use with Volocity by facility personnel and is easily and quickly done. If you do not have an MHmicroscopy account please fill out this New User Information form and then contact Michael. Visualization and Quantification and Restoration (deconvolution) licenses will cost $3.00, $5.00 & $6.50 per hour for 1, 2 & 3 modules respectively. Much analysis done only requires one license and not two or all three. The Volocity LE viewer and image database organizer is free, but an activated account and connection to the license server is required. Volocity (Volocity LE) - "Light Edition" Image importing/exporting, cropping, resizing, viewing and image library organization only - Instant access to Volocity (LE) - free! For (LE) light version only instant access username=guest password=Volocity(LE). Users who have not used Volocity via the license server should contact facility personnel to obtain an account or have their MHmicroscopy account enabled for access to the Volocity license server.